Make a clear statement of your love and admiration to one of the most special people in your life. 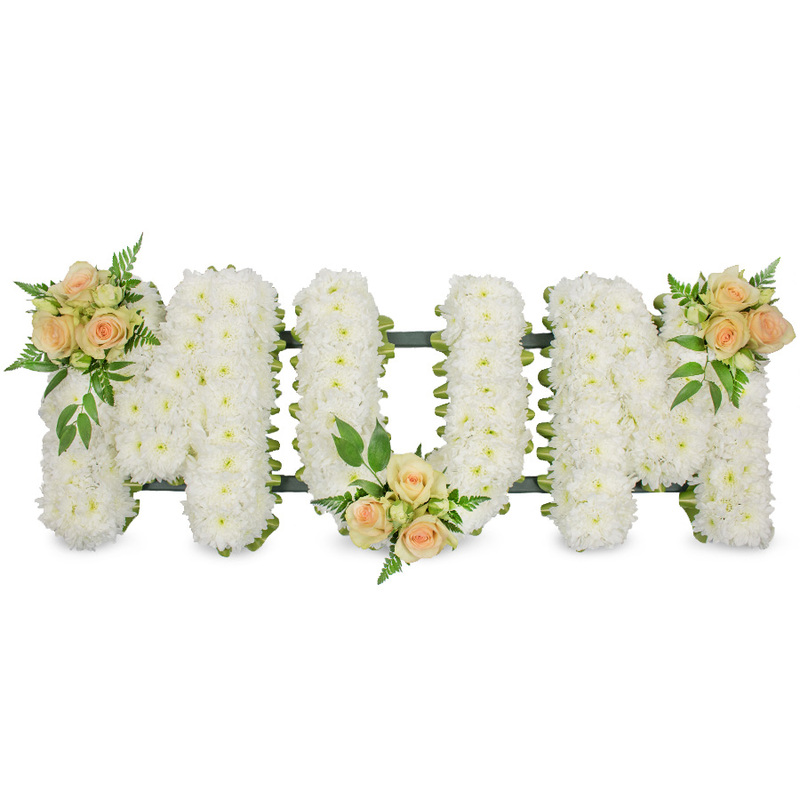 This elegant tribute made of white chrysanthemums and peach roses is a gentle way to bring unique beauty to the memorial service and offer your wishes for peace. A trouble-free experience. Easy to order and prompt to deliver. Didn't know what to expect from the service. However, I really liked this tribute and decided to order it and take the risk. Everything went smoothly and without any worries. My cousin recommended this online flower shop as I needed to order a special floral tribute for my mum's funeral. It was an extremely difficult time for me and my whole family so it was a big relief to know that the flowers will be delivered on time and the arrangement will look lovely. Thanks for the perfect customer service!